Rhythmically glide your way over the powdery snow while taking in the picturesque winter landscape and romantic beauty of mother nature. With its majestically steep mountain backdrop dominating the horizon, glittering white pine trees along the trails, snow-covered hills and attractive valleys your breath will be taken away. Cross-country ski and downhill ski tours have been making a phenomenal comeback over the last few years. Retro winter sports have something nostalgic about them, which is what makes them so attractive. Far away from all the hectic and crowds, you can enjoy the serenity of the untouched winter landscape and find your inner peace. Cross-country and downhill skiing also make for the perfect full-body workout. You will improve your flexibility and endurance as well as toning your muscles. Due to the complexity of the different techniques and styles, up to 95% of the body's muscles are used - more than in any other type of sport. With its beauty and well-maintained trails and slopes, the area around Kronplatz is absolutely worth going to for a long ski tour. In the Dolomites, if you like action and adventure, you've come to the right place. Go skiing down impressive mountain slopes, hike up to the mountain peak, race downhill on deep snow and marvel at the beautiful panoramic views. 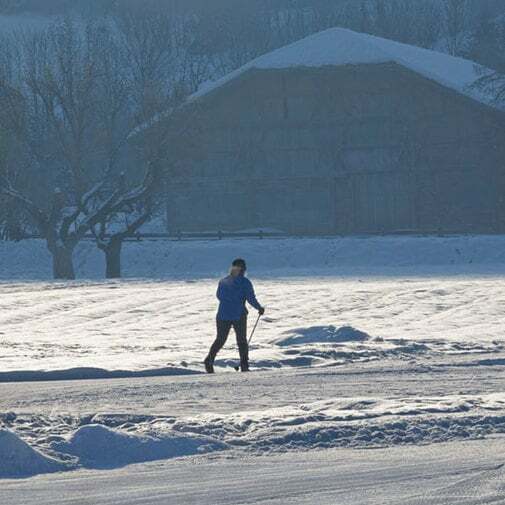 The Puster Valley is a paradise for cross-country skiers. The well-prepared trails will take you hundreds of kilometres through the magnificent landscape. In the Valley of Prags on the Toblacher Sattel or in the charming Fischlein Valley in Sexten, there is a perfect trail for every skier of every level. 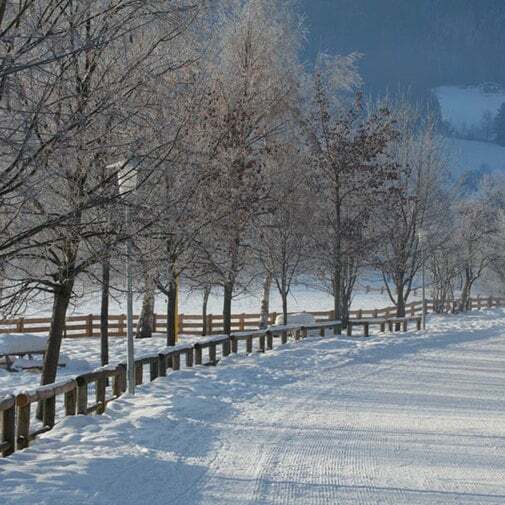 For winter athletes looking for a challenge, we recommend the 60 km long ski marathon trail in the Puster Valley.